Born in Tokyo in 1960. After graduating from the law faculty of Hitotsubashi University in 1984, I worked at Nissho Iwai Corporation (a general trading company), Salomon Brothers Asia Ltd. (a securities company, now Nikko Salomon Smith Barney Limited), Bridgestone Corporation (a manufacturer), and Tokyo Executive Search Co., Ltd. 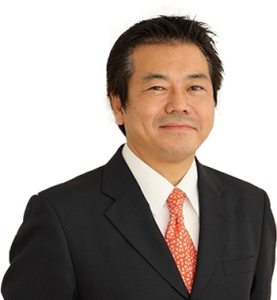 In June 2003 I stood down from the post of managing director and after a short spell of time out I established Sato Jinzai Search Co., Ltd. in October of the same year. Tenshoku de Kyaria o Tsukuru! (Change Jobs and Build Your Career! ), Diamond, Inc.
Tenshoku Shindan (Job-change Checkup), President Inc.
40-sai kara no Tenshokujutsu (Job-seeking Skills for the Over-40s), Nikkei Business Publications, Inc.
Tenshoku no Baiburu (The Job Change Bible), Keizaikai Co., Ltd.
How to Make Your Company Notice Your True Abilities,PHP Research Institute, Inc.
Head Hunting Bible,Keizaikai Co., Ltd.
My interests include long-distance running and scuba diving. Tokyo Executive Search Co., Ltd. Established Sato Jinzai Search Co., Ltd.
Sato Jinzai Search Co., Ltd.